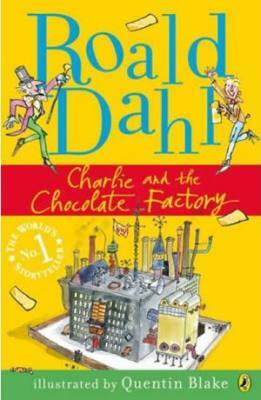 Dahl is a sadistic creep who was severely abused as a child. From reading his Dahl’s biography “boy” it’s easy to see where he, and so many other British authors, get their twisted ideas from; the harsh and cruel British Gulags aka boarding schools. Roald Dahl loves to write stories about tormented, punished, starving, suffering children (and adults for that matter, too). I don’t think British people like children, period. This book is for ADULTS THAT DO NOT LIKE KIDS. All the kids are bad besides Charlie Bucket, and for some odd reason all the adults besides the Buckets are fat. All the kids get punished because they do something wrong. Everyone makes mistakes, and there are bad words in the book that should not be used. So that is why I rate this book with one star, and if I could rate it lower I would. I thought this book was not very good. Nobody died because of the oompa-loompa. The characters were very stupid. I didn’t like augustus because he ate to much. The arguing was o.k. I read this book when I was young and was disturbed by it. It is not a kid’s book. It is a book by an adult ABOUT children, not FOR children. This book paints a very negative picture of children. With the exception of the main character, all of the children are bad and are punished in cruel ways for their faults. Are most children fundementally bad and deserving terrible punishment, at the moment they least expect it? This book suggests it (especially to a child who might be reading it and cannot understand what “social commentary” is yet). This book fits right in with the Omen and Rosemary’s Baby. It is a child-exploitation story. I recommend this book to adults who do not like children. I think this book was boring its not as good as the movie. Ithink the movie was better then the book. I don’t begrudge Charlie and his spiritual journey with Grandpa Joe, or his final reward. But there’s nothing in the book of redeeming value for girls to identify with, unless one counts long-winded railing against spoilt kids with very bad habits? The underlying message of this book is that girls have no part in larger adventures and rewards, that men and boys and male Oompa Loompas run the show. Mothers are either shrill, hysterical harpies or passive, feckless shadows. This was a good storie for people who like Umpa Lumpas.Charlie is a super duper silly evil man.The dad has been a big fat meany grumpy dad.The Charlie has been eating to much chocolates.The dad has been being a meany to everyone in town.That thee brother has been being a big fatbig big big big big fat fat fat meany.